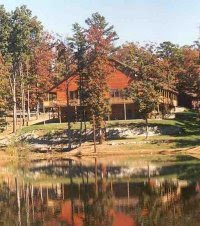 Registrations are flying in...don't miss out on this years winter retreat at Pinecrest. Deadlines are soon approaching. Email campsunago@hotmail.com or call 314-882-2414 to ask a registration form. Due to unexpected circumstances the Camp Party location has changed. It is no longer going to be held at Victory Christian. The new location will be South County Bible Church. Please pass along this change to everyone. Everything else (time, activites, etc...will remain the same). 2008 Fall Camp Party is Set! Leading in worship will be Camp Sunago's own Sandy Prichard. The devotion will be shared by 2007 Camp Missionary James Gleaves. Please help get the word out by passing along this information. See you then! To help in planning please RSVP to campsunago@hotmail.com by Wednesday November 5th. Any questions can be emailed to the same address. The fall camp party is in the works. I should find out this week if the location we are looking for comes through. I hope to post the final details later this week. Stay tuned for more info. Camp is over, decisions have been made, and lives have been changed. Did you trust Christ as your Savior at camp? Decide to dedicate your life to Him? Commit to pursuing missions? Fantastic! Now where do you go from here? 3) Belief in Jesus' death payment for man's sin is the ONLY way to salvation (not works, not baptism, etc.). Need a little help? If you live in the South County area, try South County Bible Church (4111 Von Talge Road). If you live in West County, try Rockwood Bible Church (2425 Glencoe Road). If you live in Illinois, try Edgemont Bible Church (5100 N Illinois, Fairview Heights).